Visiting Berlin has been a dream of mine since I first went to Germany 10 years ago. It was the city that I missed out on, the one that I wanted to see, but just didn’t have the time or the money to do properly. I think because of the fact that I always felt I “missed out” on Berlin, it’s been the city that got away, the city that I need to finally see. So when Luke and I were planning a little European summer trip earlier this year, I knew we had to get to Berlin. We finally had the time and while I’m by no means a luxury traveler, I’m no longer backpacking my way around Europe either. I had the funds to see the city the way I wanted to see it 10 years ago. I booked the flights, found an Airbnb, and after what felt like ages waiting, I finally spent eight amazing days in Berlin. 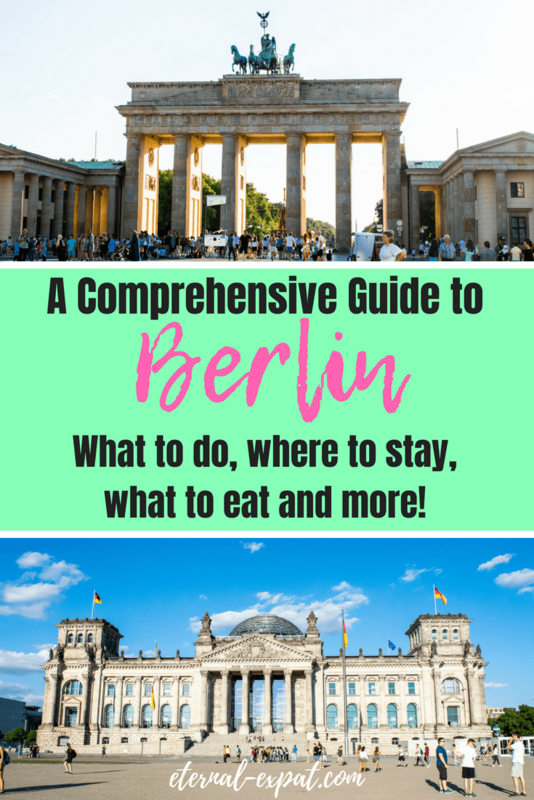 I hope this guide to Berlin helps you plan your first trip to this incredible city. It’s all the things that I wish I had found on the internet. It’s all the advice that I got from friends, fellow bloggers, and from trial and error once I arrived. There are two airports in Berlin, Berlin Tegel and Berlin Schönefeld. The larger airlines usually land at Tegel, which is to the northwest of the city. The cheapest way to get to and from the city from Tegel is to take the TXL Tegal airport bus. You can get it to the Berlin Zoo if you are staying in the western part of the city or to Alexanderplatz if you are staying near the east. According to the website, the ticket is a very reasonable €2.80. If you arrive at Schönefeld Airport, you can take the RE7 which is the slightly quicker train. It has fewer stops and takes about 35 minutes to get to the city center, however, the trains only run about once every half an hour to 45 minutes. The more frequent, but slightly slower option is the S9 train which runs every 10-20 minutes and takes about 45 minutes. Both go to Alexanderplatz where you can then connect to every other line. When you buy your ticket, be sure to get the ABC ticket, not just the AB ticket. If you plan on getting the Welcome Card, you can buy them at both airports, but only validate the ticket on the day you’re going to start using it. Getting around Berlin is so simple and relatively inexpensive compared to other major city’s public transportation. My favorite way to get around was either by U-Bahn, which is the subway network, or the S-Bahn, which is the train network. There are also buses and trams which are pretty easy to use as well. I recommend downloading an app that gives you information about all of the networks. I downloaded one called BVG FahrInfo Plus. It allows you to plan your routes and see when the next train will arrive. It gives you live updates in case any of the trains are running late. You can also buy tickets on the app. If you are going to be spending more than a few days in the city or you’re going to be traveling on public transport a lot in one day, be sure to get either a full day pass or a multi-day pass. It allows you to get on and off anywhere, use any of the methods of public transportation in the city, and you don’t have to stop constantly to buy a new ticket. The official Berlin website is really great for explaining the different price brackets, what AB and ABC zones are, and it also has up-to-date price information. You can purchase tickets at the yellow machines on the station platforms or you can get them at the airport if you want a Welcome Card. Be sure to always stamp your card to validate the date and time you started your journey. Note: Some tourists realize that the ticket system is based mostly on trust in Berlin and try to take advantage. There are very rarely people checking for tickets and there are no turnstiles where you have to insert or scan your ticket. However, in the week that we were there, plainclothes workers came up and asked for my ticket on several occasions and we even saw someone who didn’t have a ticket try to get away with it by pretending they were a tourist and didn’t understand. They were still given a fine. Is the Berlin Welcome Card Worth the Money? The Berlin Welcome Card is a public transportation card that also gives you discounts at restaurants and museums around the city. When we landed at Berlin Shönefeld airport, we purchased the maximum day pass that you can get, a 6-day pass. It meant we could use any of the public transportation for six days without having to stop at the station to buy a ticket. However, we didn’t actually use the Welcome Card to get any discounts on meals and we only used it once at the Olympic Stadium when we took a tour of the grounds. The restaurants that offer discounts tend to give discounts were all quite touristy and not exactly what we were looking for. However, if it’s your first trip to Germany and you plan to go to some of the larger restaurants, you can get up to 25% off of your meals. It’s definitely worth having a look at the list of museums. We sort of panicked and thought that we would visit a lot more of those museums on the list than we actually did. Instead, we visited a lot of free museums, of which there are many in Berlin. For us, the Welcome Card was a slight waste of money. You can get a 7-day transportation ticket for €30 while the Welcome Card for 6 days costs €42.50. So while it was only a €12 mistake, we didn’t really need it. Berlin has some seriously cool neighborhoods. 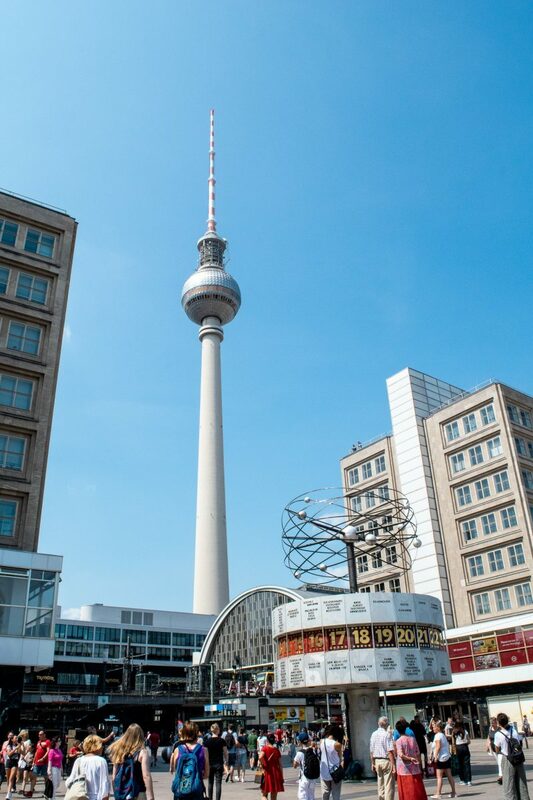 It’s also really well connected and quick to get around the city, so you could stay in hipster Friedrichshain, have breakfast in a cafe in Prenzlauer Berg, explore the center around Alexanderplatz and the Brandenburg Gate, have dinner in Kreuzberg and still make it back for a drink around Friedrichshain before bed. That being said, there are a few places that I recommend over others based on what you like. After reading a lot about the different neighborhoods of Berlin, I decided to book this Airbnb in Prenzlauer Berg. 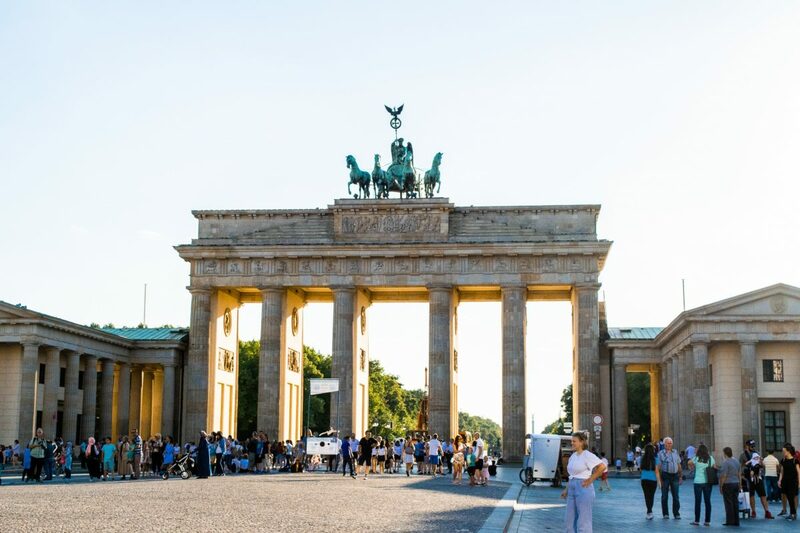 It’s home to the oldest beer garden in Berlin, it has tons of cafes and cool restaurants, bars, and late-night eats, and it’s really close to the center of the city. Some days, we even skipped the metro and walked to Alexanderplatz instead. The Airbnb we stayed in was shared with the owner, but we had our own huge bedroom and she was a pretty awesome host. She gave us tips about where to eat and mostly left us to our own devices when we were in the apartment. Really, it was all about the location – I was really happy with it. You can see it here. If you’ve never used Airbnb, you can sign up with this link and get up to $35 off of your first booking. Other neighborhoods that I considered staying and that after seeing I would definitely recommend are Kreuzberg, Prenzlauer Berg, and Mitte. These are some of the most central neighborhoods in Berlin. They all have several S and U-Bahn stations as well as tons of great bars and restaurants. They’re also just generally nice places to walk around and felt very safe at night in case you are traveling solo. Myer’s Hotel Prenzlauer Berg– A well-located boutique hotel in Prenzlauer Berg with an onsite spa and beautiful rooms. If I had slightly more of a budget, I would definitely have stayed here. Rooms start at $128 per night. Book a stay at Myer’s Hotel here. Grand Hostel Berlin – If you’re looking for a budget spot that still has style and class, the Grand Hostel Berlin is a great option. Rooms start at $40 per night for your own private room. It’s located in a cool area in Kreuzberg near lots of bars and restaurants and plenty of public transportation options are available around the hostel as well. Book a stay at Grand Hostel Berlin here. Grimm’s Hotel Potsdamer Platz – Although it might not have the most inviting name, Grimm’s is not actually that grim, it’s pretty bright and colorful. The rooms are modern and have tons of natural light and there’s an awesome rooftop where you can bring a few drinks and enjoy the sunset over the city. Rooms start at $80 per night. Book a stay at Grimm’s Hotel here. Hotel the Yard – This is a proper boutique hotel is tucked down a quiet street in Kreuzberg. It’s still close to all the best bars and restaurants, but it is so well decorated and the service makes it feel like a true luxury. Rooms start at $75 per night. Book a stay at Hotel the Yard here. There is SO much to see and do in Berlin. We spent an entire week exploring, visiting museums, taking walking tours, and eating currywurst and kebabs. 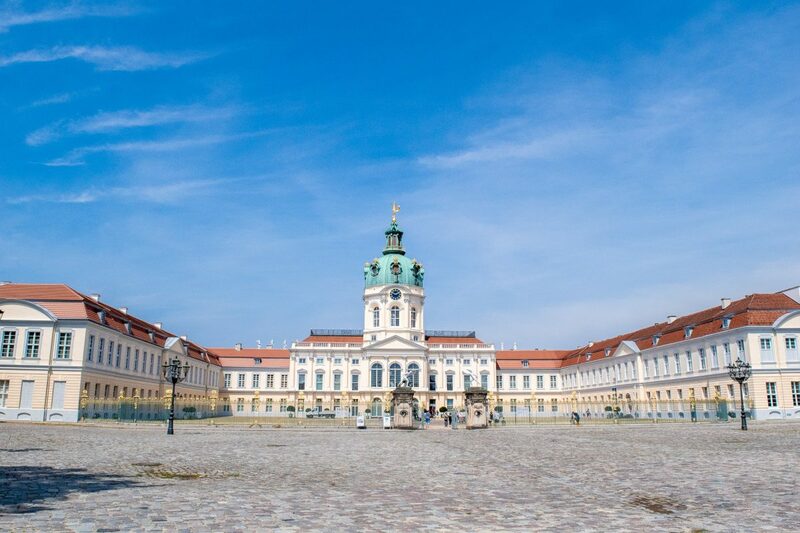 I’ve written an itinerary for 3 Days in Berlin and am working on one for an entire week, but here I’ll mention some of my absolute cannot miss things to do in Berlin! There is so much good food in Berlin. It’s a truly international city with everything from casual Vietnamese and Korean restaurants to upscale Italian and French dining options. I was most interested in famous Berlin kebabs, local currywurst (delicious sausages topped with ketchup and curry powder), and good beer. Here’s what I came up with. Prater Garten (Kastanienallee 7-9) – The oldest beer garden in Berlin with tons of outdoor seating. Great for both food and drinks. Die Berliner Republik (Schiffbauerdamm 8) – Another great beer spot that also does nice local foods. Located just outside of Friedrichstrasse Station. Suicide Sue Cafe (Dunckerstrasse 2)- One of the best coffee and breakfast spots in Prenzlauer Berg. K’Ups Gemüse Kebab (Kastanienallee 102) – This is one of the best kebab shops in a city that is famous for kebab shops. It’s located around the bustling nightlife in Prenzlauer Berg and it is ALWAYS busy. Ali Baba (Danziger Strasse 2) – K’Ups opened my eyes to a good kebab, but Ali Baba’s was good enough that we went back twice, including making their kebabs our last meal in Berlin. Get it in the durum wrap and ask for plenty of garlic sauce. BraufactuM Berlin (Memhardstraße 1-3) – For a taste of German craft beer, this is a really great spot to stop for a late afternoon drink. They also make really tasty burgers and nice fluffy fries, but we sampled a few of their beers and agreed it was some of the best beer we had in Berlin. Henne (Leuschnerdamm 25) – A traditional restaurant that is constantly recommended for its famous chicken dish. You get half a hen and a super delicious potato salad (I don’t know what the recipe is for potato salad in Germany, but it is THE BEST I’ve ever had). 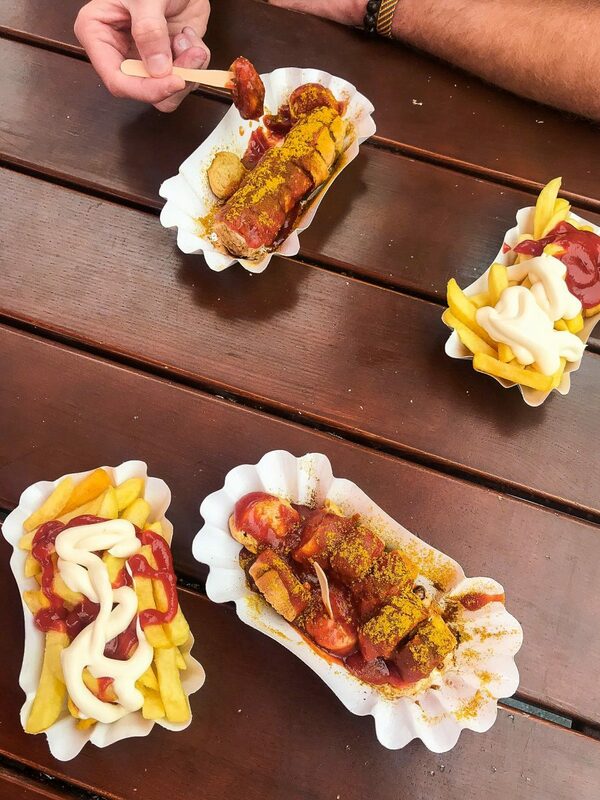 Curry 61 (Oranienburger Strasse 6) – We tried currywurst all over the city and I enjoyed each and every one of them. This one stood out for the quality of the sausage and the added extras like big portions of fries and a spicy ketchup option. You can’t really go wrong with any currywurst spot you see, especially if it’s busy! There is seemingly endless things to do in Berlin. It can seem overwhelming, especially if you only have a few days in the city. One of my biggest tips is to create a rough itinerary of your days in Berlin so that you have a skeleton to work around. 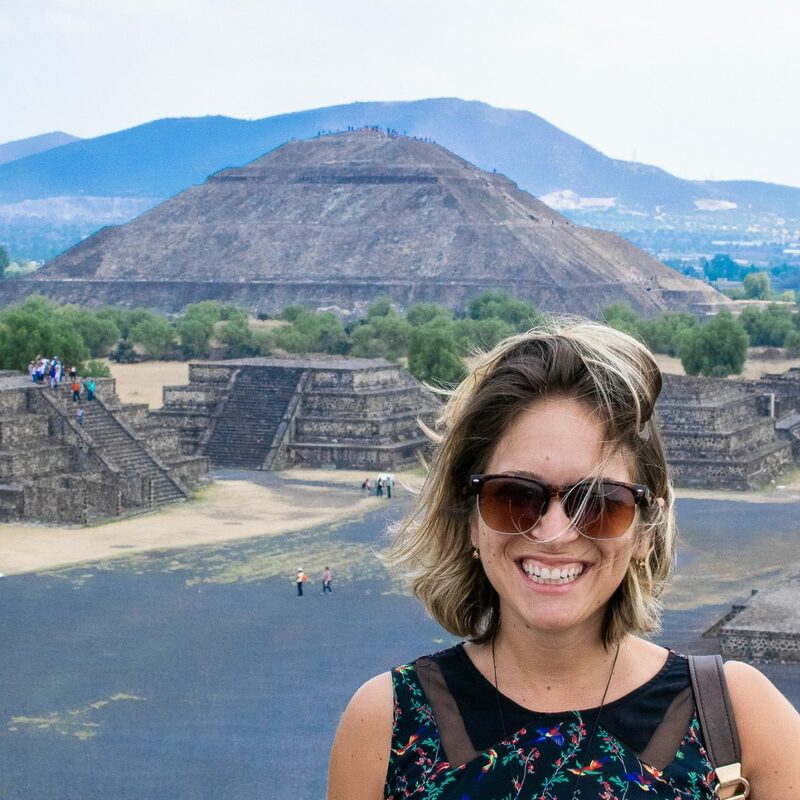 Find out when the tours are that you really want to take and plan those in first. You can’t see everything. 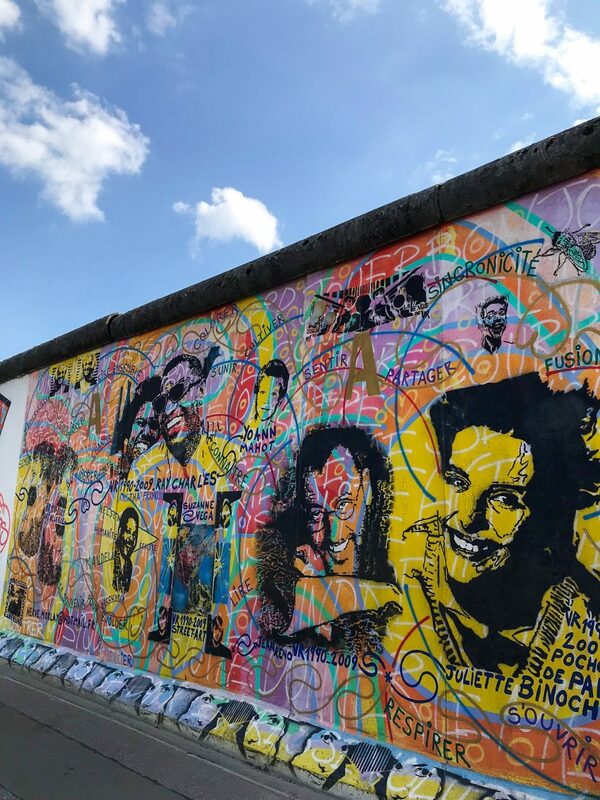 I would have loved to go to the Jewish Museum, I would have really enjoyed taking a street art tour or learning more about the alternative side of Berlin. I would have loved to spend some more time exploring Kreuzberg and the Tiergarten park. I also would have loved to try more restaurants, but you just run out of days. Always have cash on you. For whatever reason, very few places seem to accept credit or debit cards. I found this strange and sometimes didn’t have enough cash on me. This includes restaurants and bars. If you’re not sure, always ask before you order. While you’re at it, avoid the Bancomat or Geldemat machines. They charge a fortune for you to take money up (upwards of $5 or $6 per transaction!). Instead, look for banks like Deutsche Bank or Volksbank (sometimes just says VB Bank). These ATMs don’t charge anything for you to take cash from their ATMs. Everyone speaks English in Berlin, but it’s still nice to be able to speak a few words of German as a sign of respect. Look up how to say please, thank you, and maybe a few numbers, too. I found older people really appreciated the effort. Just get lost. One of my favorite things to do was to just wander around some of the different neighborhoods. 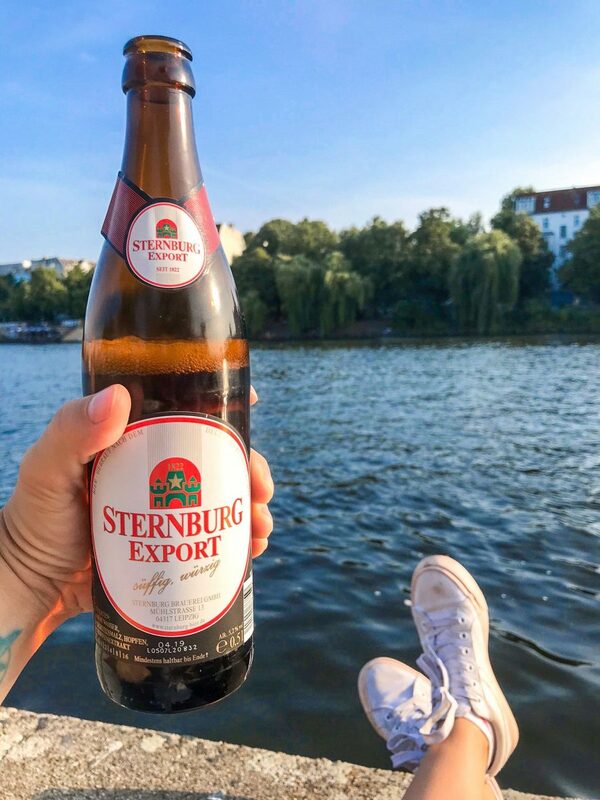 It’s how we found some cool bars and great little grassy patches along the River Spree to relax with a beer. It’s also how I found some awesome thrift stores to go shopping in where you pay by the kilo rather than per item! 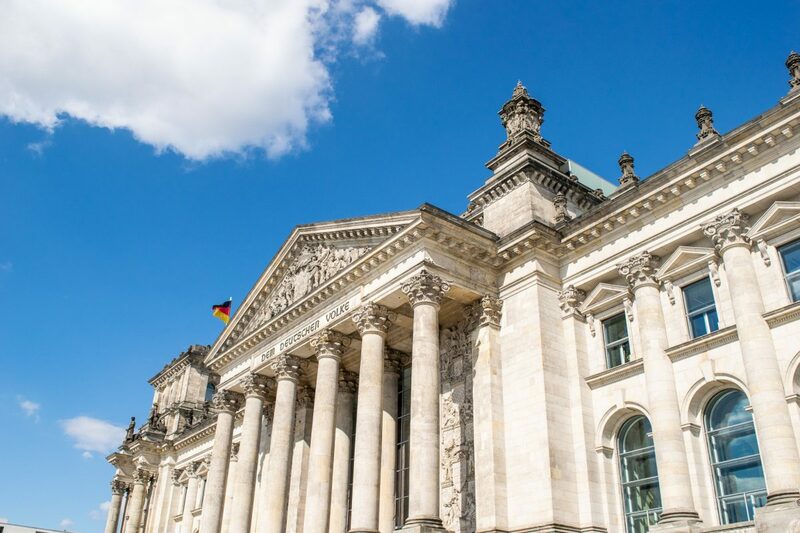 If you head to Berlin during the summer, grab a few beers and head to the grassy area near Hackscher Markt across from Museum Island. It was full of people enjoying the sunset with a few drinks and even takeaway pizzas. Mostly, just enjoy it! Whether you’re there in summer or winter or somewhere in between, there’s plenty to keep you busy and SO MUCH to learn about.